HICKORY, NC Matt Everley, of Hickory, NC-based graphic design studio m.e.designlab, was recently selected as a winner for a 2013 American Graphic Design Award by a nationwide panel of judges. The award recognizes excellence in communication and graphic design. The competition was presented by Graphic Design USA Magazine. A highly selective 15% of the 8,000+ entries were honored this year. 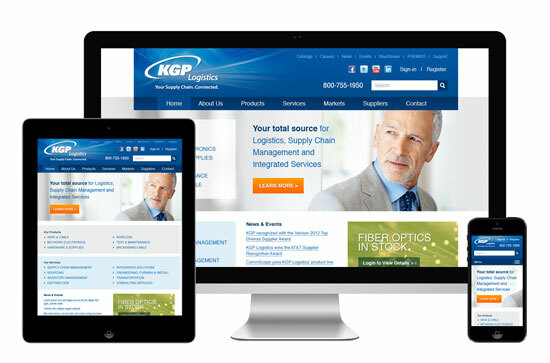 Everley’s winning entry was for the design and development of a responsive web site for KGP Logistics, a national distributor and logistics solutions provider for the telecommunications industry. The selected piece and design credits will be featured in GDUSA’s December issue, “2013 Design Annual” and can be viewed online at www.gdusa.com. Everley has won numerous awards for logos, web sites, direct mail and corporate identity systems including several previous American Graphic Design Awards in the last 11 years. He resides in Hickory with his wife and three daughters. Matt’s portfolio can be viewed at www.medesignlab.com. For more information, call 828-441-0010.